Island Harvest Food Bank, a local hunger relief organization, has joined with NBC 4 New York/WNBC, Telemundo 47/WNJU, Stop & Shop and seven other regional food banks for this drive, held 9 a.m.-6 p.m., at more than 250 Stop & Shop locations in New York, New Jersey in Connecticut. 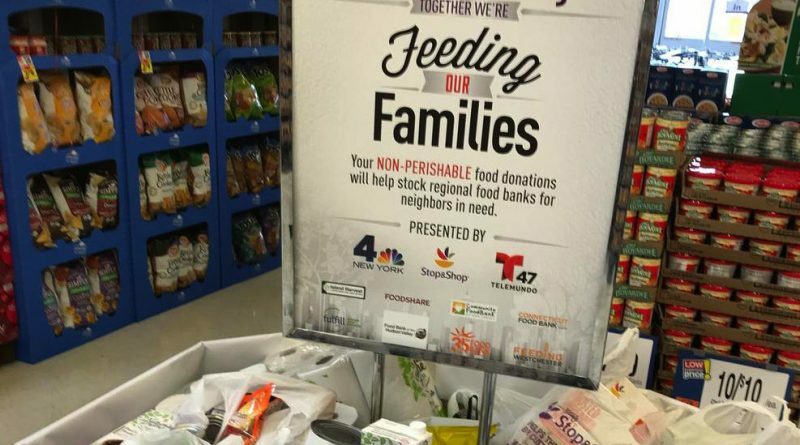 NBC 4 New York and Telemundo 47 will deliver live reports and broadcast cut-ins from the supermarkets; and, anchors, reporters and employees from both stations will also visit the stores to support on-site collection efforts. For a sample shopping list of the most requested non-perishable items, visit NBCNewYork.com/fooddrive or telemundo47.com/alimentar. Volunteers will also be handing out the list to shoppers visiting all participating Stop & Shop locations that day. A map of the participating locations can also be found online. I’m filling my reusable supermarket bag and heading to my local Stop & Shop this Saturday and you can too, as there’s no better time than right now to help out someone in need.